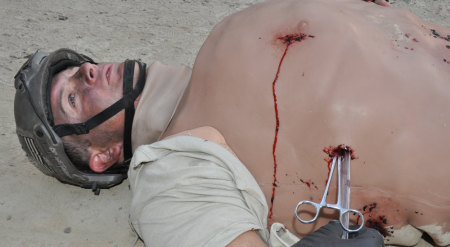 Strategic Operations (STOPS) Inc. employs state-of-the-art Hollywood effects to create hyper-realistic training environments and simulators for healthcare. CAE Healthcare is a global distributor for STOPS medical products, including the Surgical Cut Suit, blast trousers and 6-in-1 TCCC trainer. Designed for point-of-injury care, the STOPS products allow first responders and physicians to practice surgical interventions and emergency procedures by simulating traumatic, life-threatening injuries. 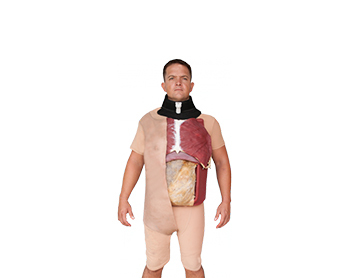 The Cut Suit is the most realistic way to simulate the look, feel and smell effects of severe traumatic events on a live human while allowing first responders and physicians to safely perform real procedures - from the point of injury, to treatment en route, and transition of care to surgical intervention. 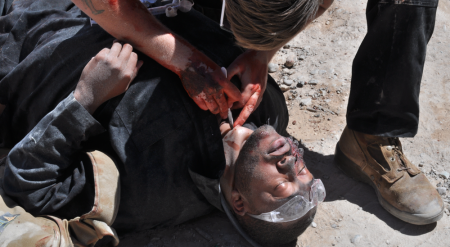 The main goals of Tactical Combat Casualty Care (TCCC/EMS) are to treat the casualty, prevent additional casualties, and complete the mission. The TCCC Cut Suit is specifically suited to accomplish these goals in training. 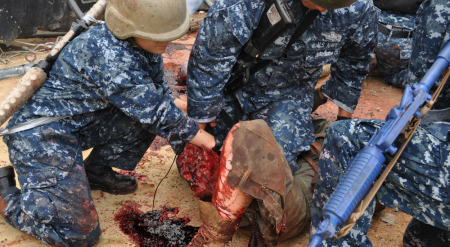 The Strategic Operations' Blood Pumping System® is a hyper-realistic medical training system designed to simulate human arterial and venous hemorrhage in conjunction with simulated human injury products. 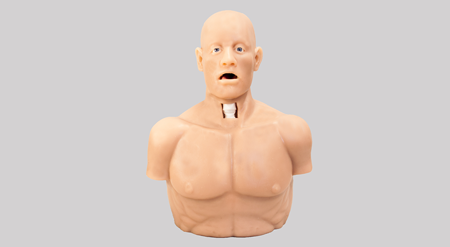 The Strategic Operations 6-in-1 TCCC Trainer is comprised of a hyper-realistic anatomically similar male or female head and upper torso, constructed with a skeleton that utilizes user-repairable body skin, neck skins, tracheas, and user-replaceable intraosseous training pucks. Procedures available include Nasopharyngeal Airway (NPA) Adjunct Insertion, surgical airways, chest needle thoracentesis, catheter insertion and more.